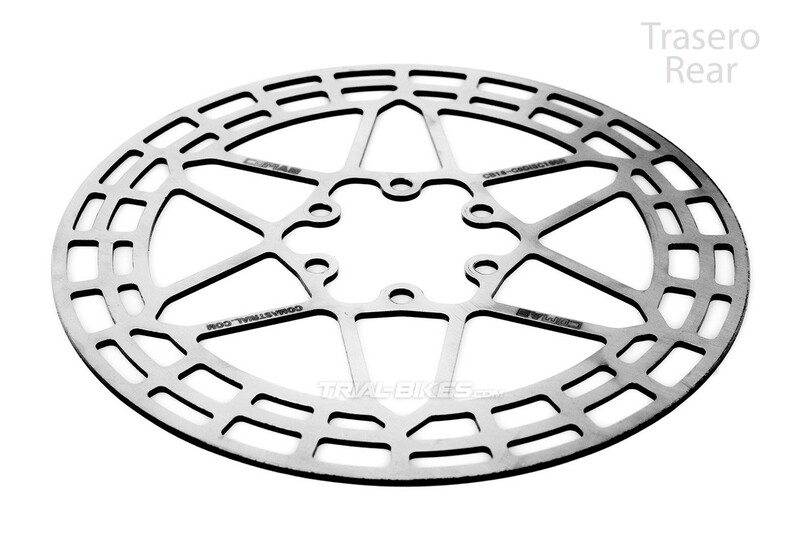 Comas 160mm high-end disc brake rotor. Featuring a unique design and material composition developed for bike trials by Comas team riders Sergi Llongueras, Vincent Hermance and Eloi Palau. 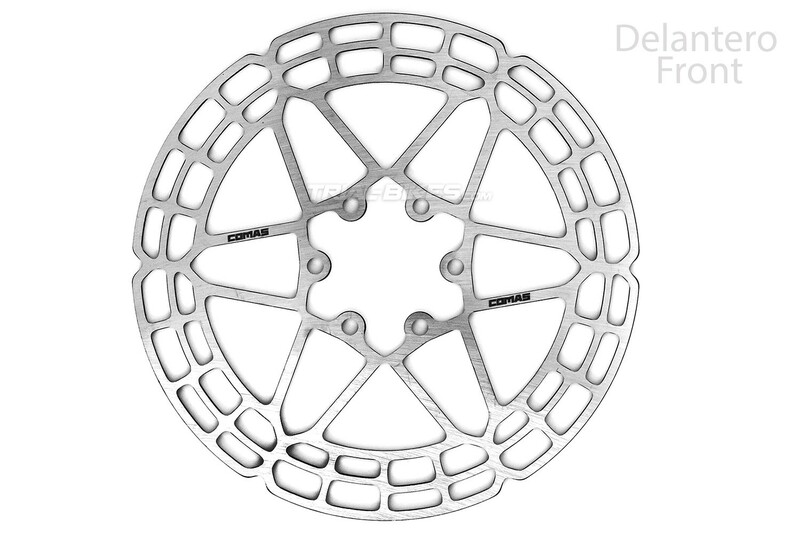 - Performance Comas 160mm disc brake rotor, manufactured by the new Comas trials brand, owned by Biketrials World Champion Dani Comas. 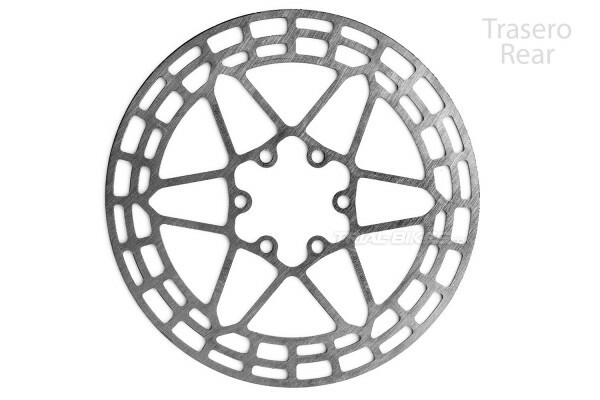 · Front disc brake rotor. · Rear disc brake rotor. - Each version has its own stainless steel alloy that’s been optimized for the front or rear brake, respectively. - Tested and developed by Comas team riders Eloi Palau and Dani Comas himself. - Its multiple central arms and large surface area help optimize strength and braking performance. - Features a central nerve in the middle of the braking surface, which helps improve overall performance. - Standard 6-bolt ISO fitting, compatible with most disc brakes and disc hubs. 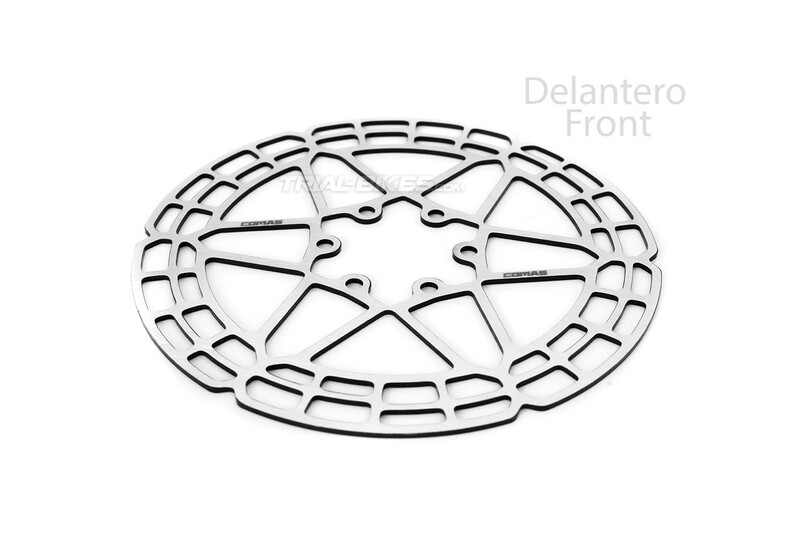 - Please note: front rotor mustn’t be used as a rear rotor or viceversa. - Silver, with Comas laser etched logos. It’s recommended to bed in the rotor before riding trials. By braking slightly multiple times, the material in the pads and rotor will gradually heat up, reaching a temperature that allows material transference between pads and rotor’s surface.